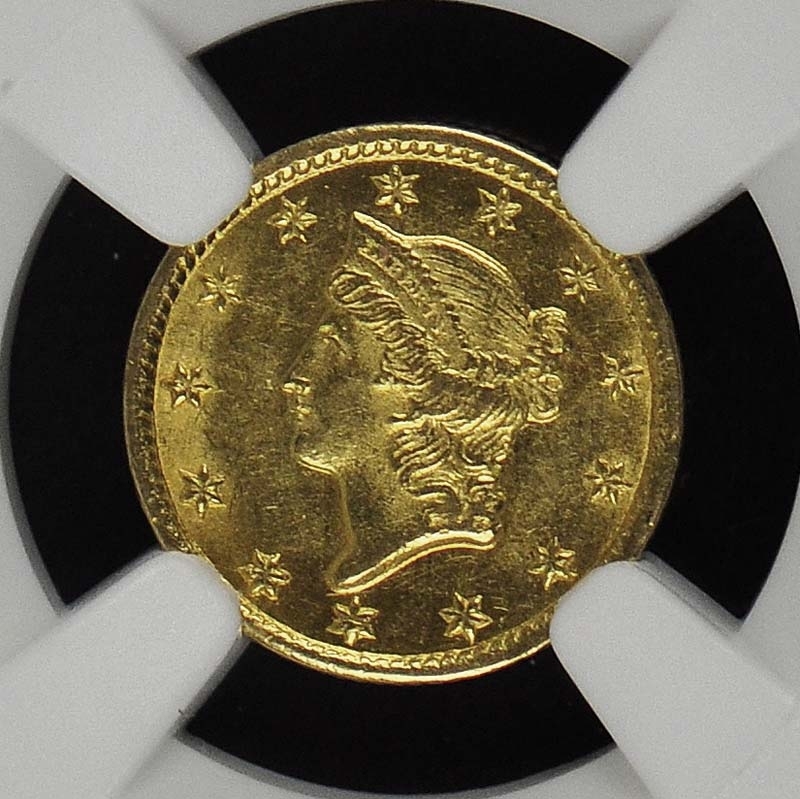 With a mintage of less than 10;000 coins; the 1852-C gold dollar must be considered scarce in any condition. 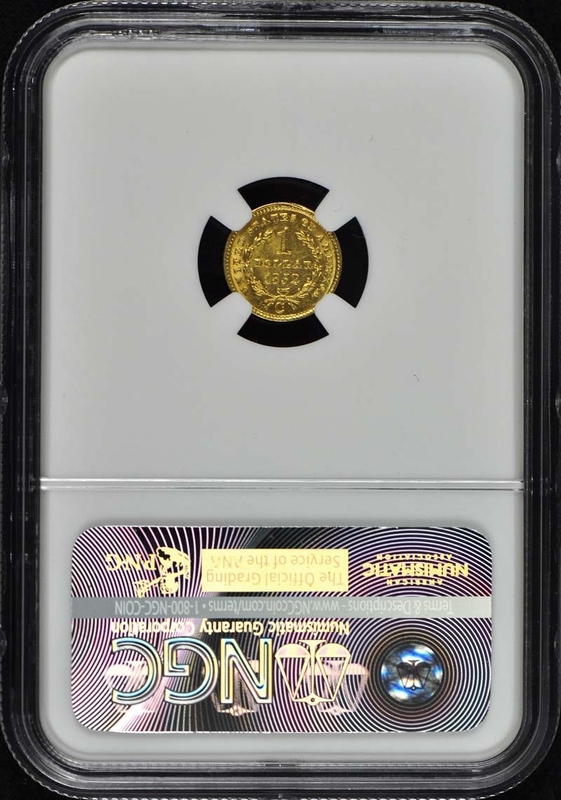 Just over 200 of these gold dollars have been certified in all grades. 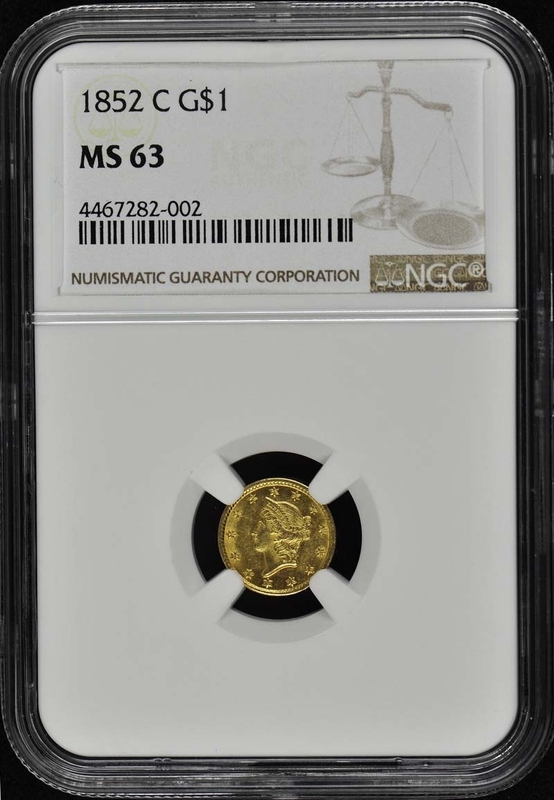 A number of Mint State examples are known; including a superb NGC MS-66 example that last sold in the Heritage F.U.N. Show sale in 2000. 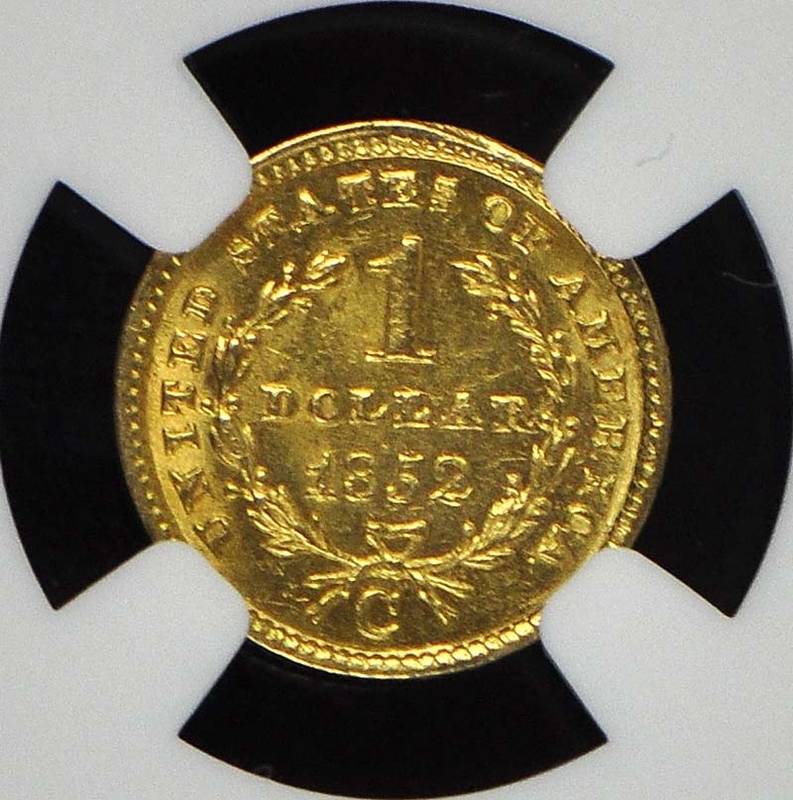 That coin is a radiant gem; but like most 1852-C gold dollars; it has an imperfection on the reverse at the LA of DOLLAR. The flaw at first appears to be a planchet imperfection; but it is obviously a die problem; probably caused by some foreign material adhering to the die. This mint-caused defect should not affect the value.